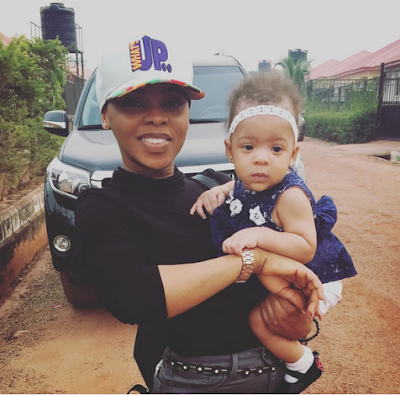 Flavour who is rumoured to be married to his first babymama, Sandra, took his daughter with Anna Ebiere home to Enugu, for dedication. His colleague turned bestie, Chidinma Ekile broke the news on instagram. She is pictured below with the little cutie.